We are pleased to present you our latest project, a redesigned, user-focused, IR magazine website. Our team has had a great opportunity to work with the IR Magazine team on creating a social network for the IR professionals, IR Space, and happy that we can share the more good news with you. We give you their brand new website, redesigned to provide easy access to the latest news from the industry, all in one place. For more than 20 years, the IR Magazine has been providing well-researched financial and economic reports. They stand for the news and case studies covering all the topics related to the investor relations. Moreover, their significant work has contributed to empowering online business communities, that can easily stay up to date with the most relevant content from the industry. 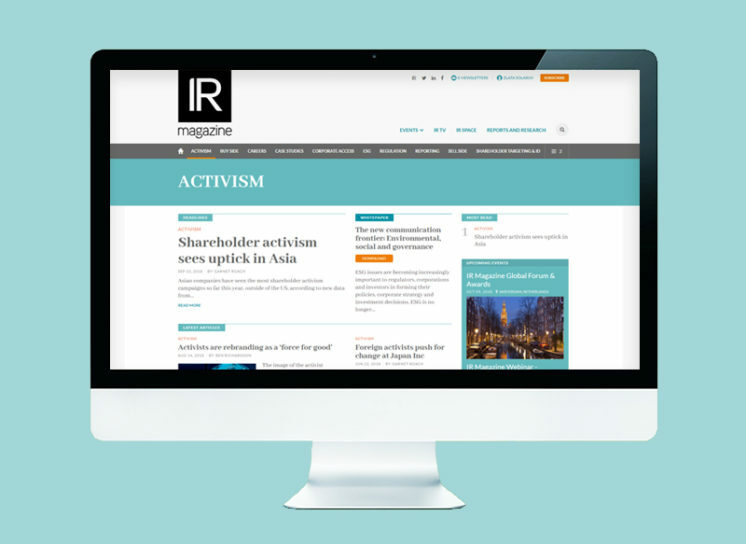 IR magazine gathers quality insights and global perspectives from the world of investor relations. Whether you are an expert or interested in investor relations, the magazine does not only bring you the financial news. You can also read the news about upcoming events, key dates, webinars, and other networking opportunities. IR Magazine strives to involve all online media formats to offer top-notch content. If you prefer video content, you can follow the latest news through IR online television. You can browse, interviews and reports, video tutorials about the latest trends and researchers. Additionally, their editors aim to cover all the most important events and key doers from the industry. Apart from magazine and TV, IR media group focus on expanding their knowledge base. That is the case especially through providing educational content to those who want to learn. Moreover, this magazine tries to encourage sharing of ideas through the social network – IR Space in order to connect and bring together those like minded in search for answers. What will readers get browsing IR Magazine? 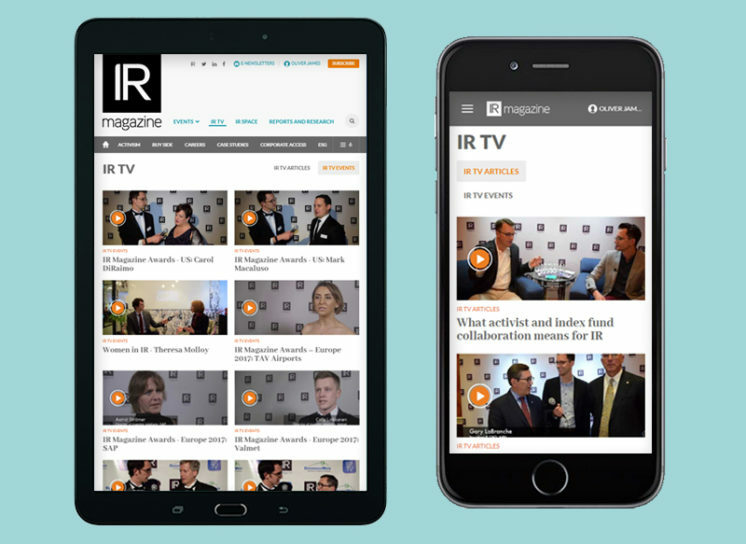 IR Magazine is an essential content for executives around the world. Through years they have succeeded to expand their offer effectively to various, user-friendly digital formats. From hard copy to digital form they continue to help investor relations professionals to achieve more and make gain from their efforts. Their visibility and skillful approach to writing and creating content secured their presence and confirm the influence in the industry. From hosting events around the world and organizing conferences and webinars they strive to offer ongoing education to the IR community. With organizing webinars and events they try to keep in close touch with its readers through free content subscribing to newsletters. They offer a limited amount of articles and newsletter yearly, completely free. For those who want more of the articles and data reports, there’s an annual paid subscription. You can choose a professional news package with enough key research supplies over the year. Or you can just enjoy in compelling world economy topics and headlines with creme de la creme persons from both politics and economy world. Subscribe here.